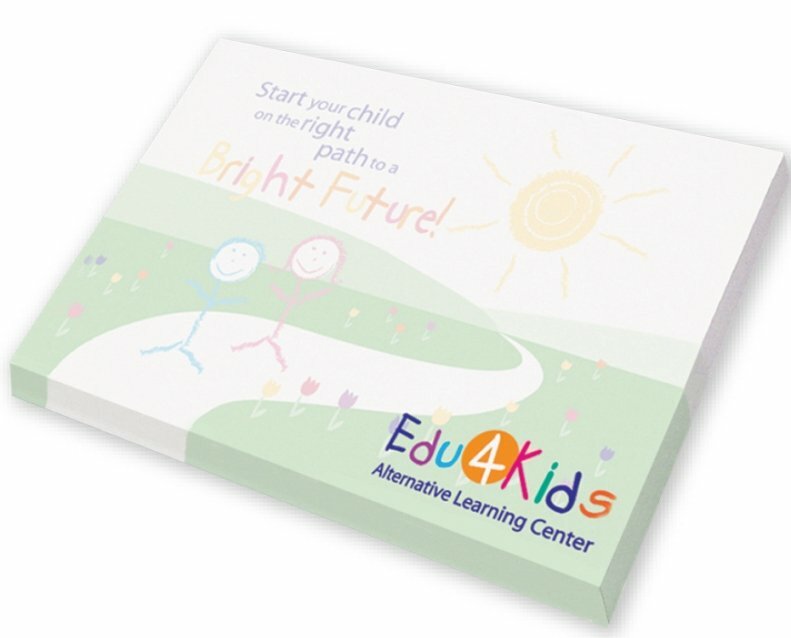 Custom printed 3 x 4 Full Color Post it Note Pad with your logo. Actual pad cut size is approximately 4 w x 2 7/8 high. Price includes a 4CP imprint in an area 3 5/8" w x 2 1/2" h.
PII recommends design is 3 5/8" w x 3/4" h at top.